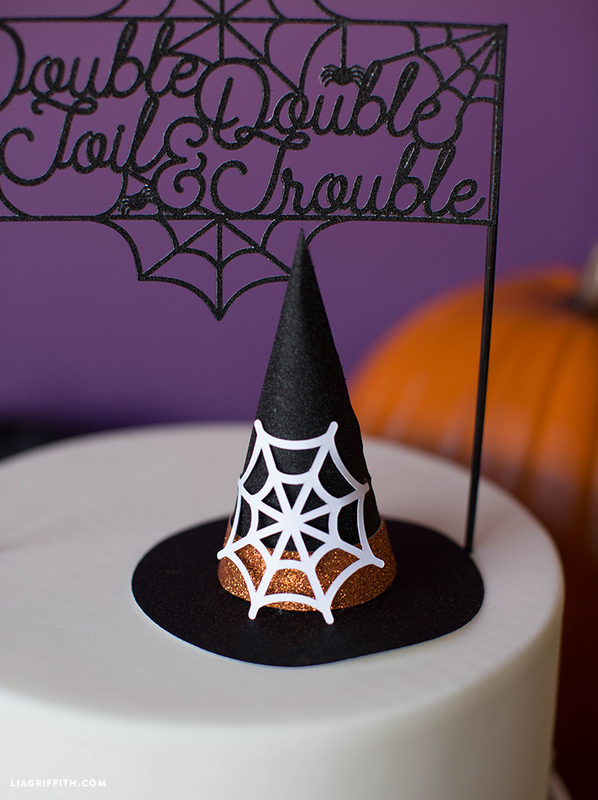 In tandem with our mini witch hat cupcake toppers, our Halloween cake topper is spook-tastic! 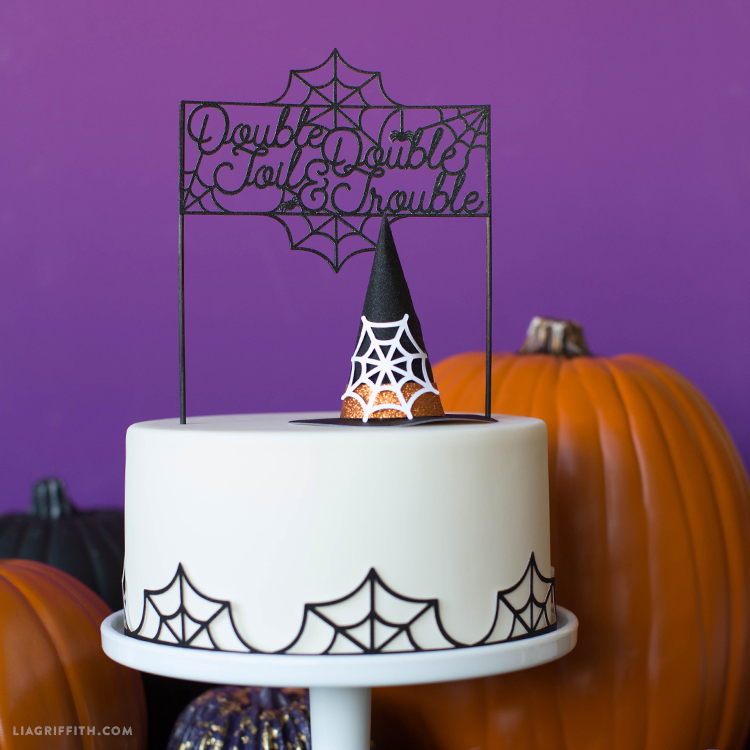 We’ve created a witch hat topper, “double double toil and trouble” topper, and spiderweb wrap for you to download, print and cut. Use a cutting machine to cut our SVG files or a pair of scissors to cut our PDFs. We used the Cricut Maker to craft the ensemble you see in the photos, but using a pair of scissors yields witch-ingly awesome results as well! 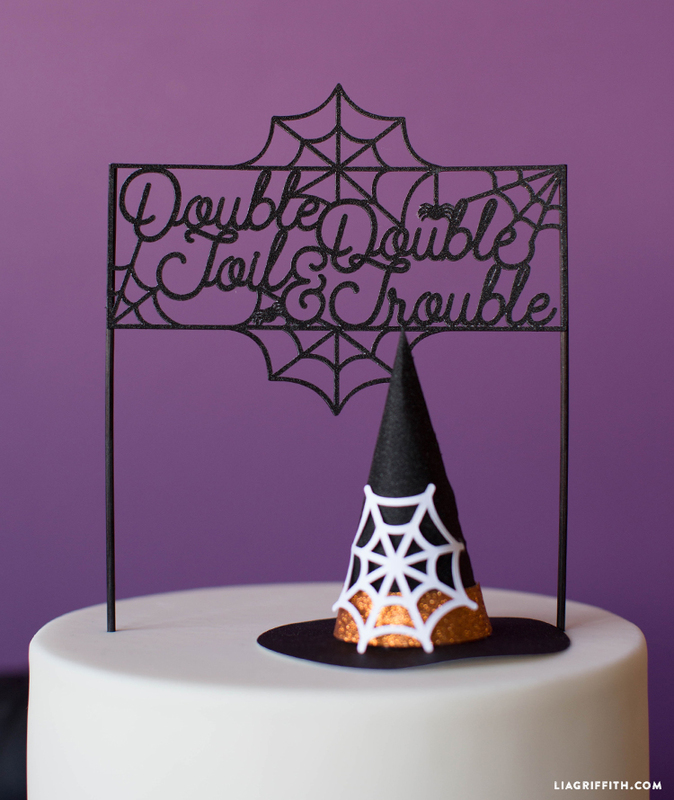 For the “double double toil and trouble” topper, you will need to cut out two designs and then attach to skewers and glue together using spray mount. Trick AND treat with this easy-to-craft DIY today! 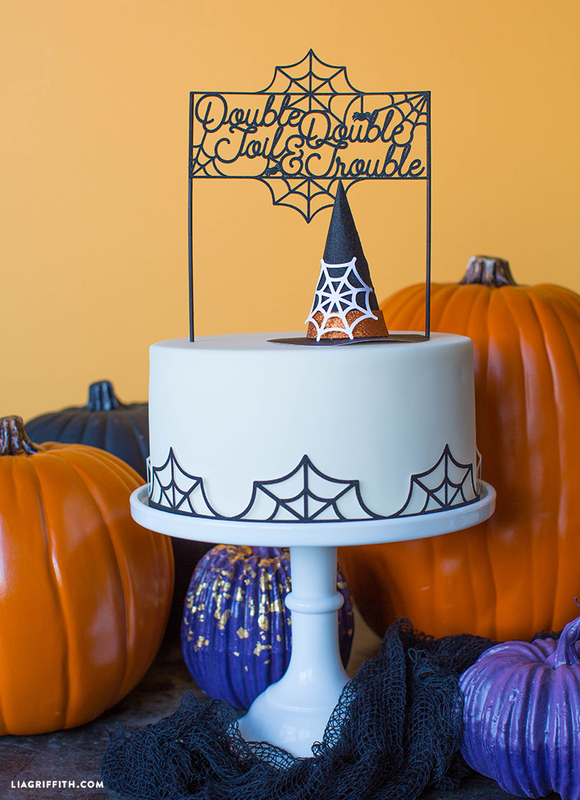 For more DIY cake topper creativity, browse our website here. 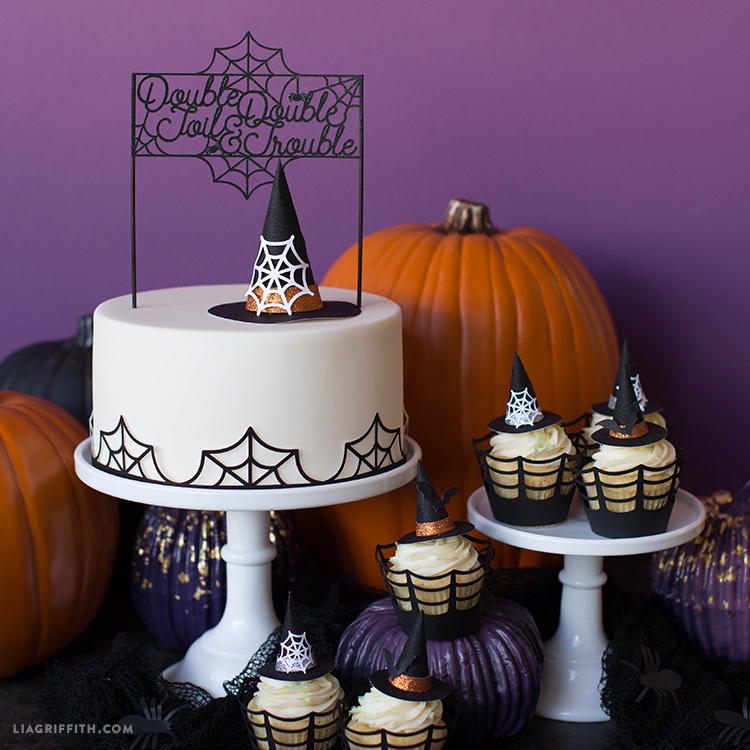 And for more Halloween haunt-spiration, browse here.